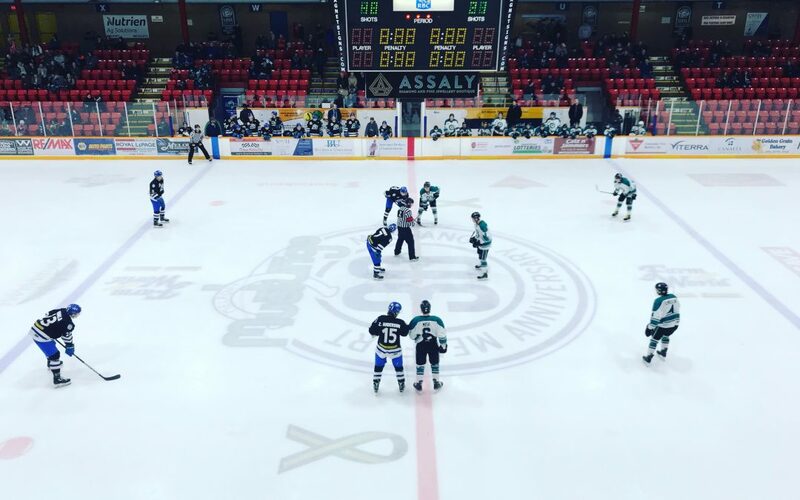 It was a game the La Ronge Ice Wolves likely deserved to win, but they came up short 6-3 in Melfort on Friday night versus the Mustangs. Following a scoreless first period, Melfort got on the board 3:36 into the second when Kayle Tosh fired home his seventh of the season past Brendan Benoit from the left point. The Mustangs went up 2-0 10:29 into the frame when Justin Ball finished off a two-on-one for his 45th goal of the season. La Ronge cut the lead to one before the period was out when Jake Gudjonson sniped his 15th of the season 18:59 into the stanza. The Mustangs added some insurance 1:44 into the third when Kenzie Arnold beat Benoit through the wickets, which made it a 3-1 game. Following the Arnold marker, Benoit was replaced by Jordan Frey, who stopped 15 of the 16 shots he faced. The Ice Wolves didn’t fade away in period three, despite trailing by two. Flynn Perry picked up his own rebound and beat Tanner Martin 11:05 into the third on the power play, which made it a 3-2 contest. La Ronge would tie the game at three 12:21 into the frame when Samon Mouland picked up the puck in the right circle and rifled home his first as an Ice Wolf. The excitement following the goal turned into rage when La Ronge’s Dalton Dosko was assessed a two-minute penalty for elbowing 12:53 into the stanza. The La Ronge bench was visibly disgusted with the call, but they did not change the mind of Derek Flad, who was one of the referees on Friday night. Melfort’s Colin Schmidt would tally his 18th on the man advantage 14:42 into the third, which gave Melfort a 4-3 lead. Carson Albrecht and Zach Anderson added empty-net goals, as the Mustangs ended a four-game slide and handed La Ronge its eighth straight setback. With the loss, the Ice Wolves slipped to 10-36-1-1 on the season, which has them in last in the overall standings and 15 points back of Melville for the final playoff spot. La Ronge has just 10 games remaining on its regular season schedule. The Ice Wolves will look to rebound on Tuesday night at home when the league-leading Nipawin Hawks fly into town for a 7:30 p.m. puck drop at the Mel Hegland Uniplex.